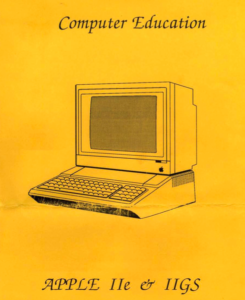 Apple2, Archiving, Education, by Michael. It’s not every day an Australian Educational software set appears on eBay just begging to be imaged. This is the “Basic Skills Software Resource Collection” by the Computer Education Centre (CEC). This is the main collection of 16 single-sided 5.25″ diskettes, and the bonus double-sided 17th diskette.